Interest was well spread throughout the three sessions of this strong ‘collector’s’ auction, producing many interesting results. Top price paid was £15,050 for an exceptionally fine 1840 1d. 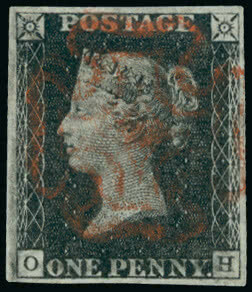 black plate 11 cancelled by red Maltese Cross (lot 364, left), this being arguably the finest known example. The outstanding collection of £1 stamps, proofs and essays formed by Ian Crane, furnished a number of scarce and desirable rarities, attracting much well-deserved attention. 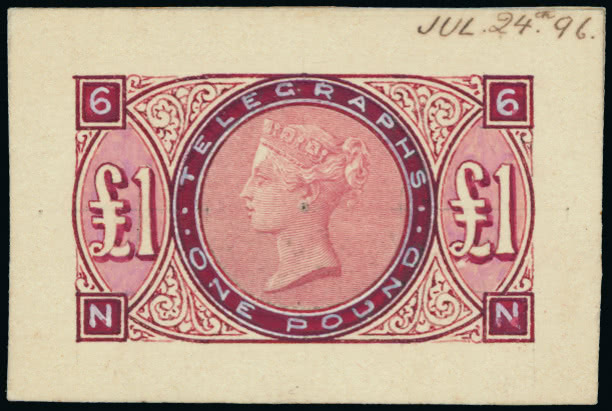 The beautiful 1876 £1 essay from the De La Rue archives, superbly hand-painted in rose, crimson and Chinese white (lot 101) was bid to £5,057, whilst the appealing block of ten of the 1877 Telegraphs £1 imperforate colour trial in dull claret, overprinted “SPECIMEN” and showing current number and “TELEGRAPHS” imprint (lot 107) also proved popular, climbing to £6,622. That rare and attractive shade, the Somerset House 6d. 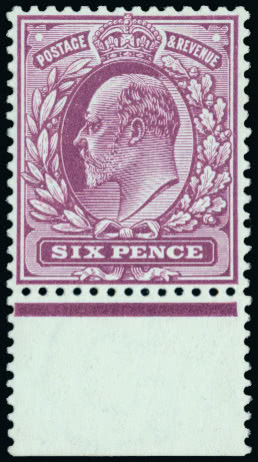 bright magenta, shone most brightly in a strong King Edward VII section, one that featured many colour trials and shades. 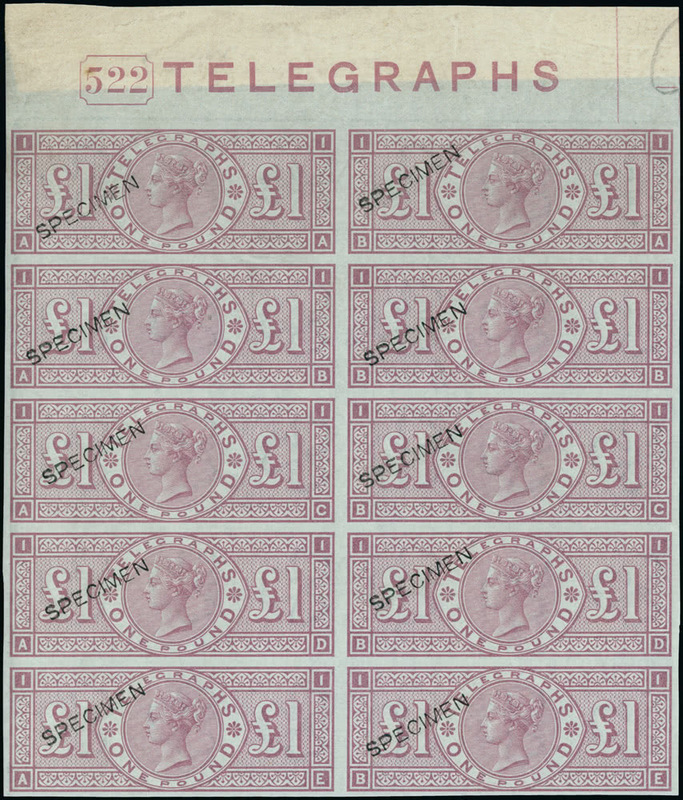 The unmounted mint marginal copy of the bright magenta (lot 698, left) rose to £9,632. Amongst the King George V which followed one item to catch the eye was the 1912-24 1d. 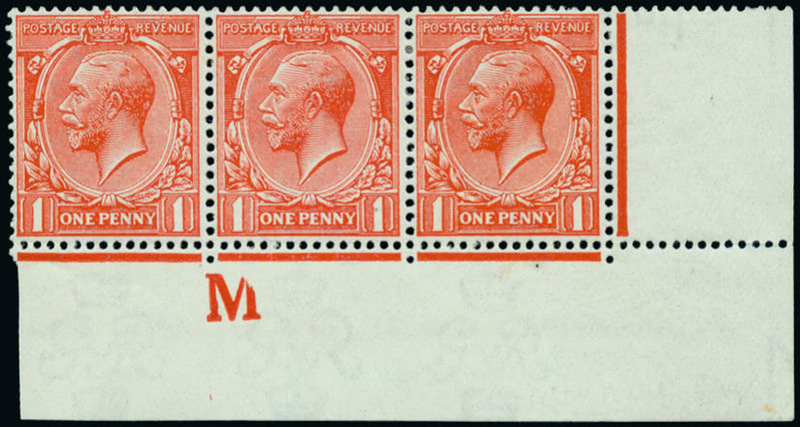 deep scarlet control strip of three showing letter “M” only (“18” being omitted) (lot 772) which sold for £9,632 in spite of one stamp being acknowledged to suffer from a gum crease. 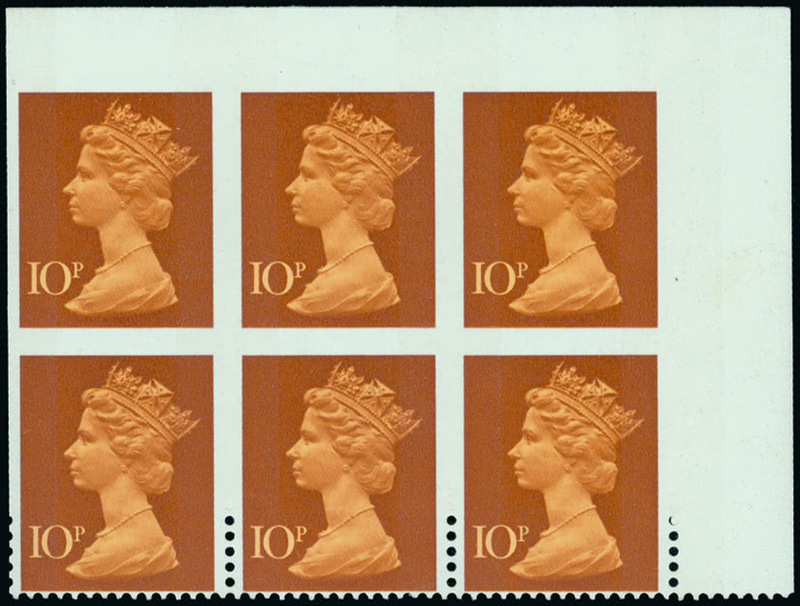 The Queen Elizabeth II section was made memorable by the presence of the exceptional Roy Parker collections of Wildings and Machins, and included some notable items, one such being the 10p. orange-brown and chestnut FCP/PVAD block of six containing an imperforate strip of three (lot 1061) realising and impressive £2,583. Other notable items included the 6p./25p. 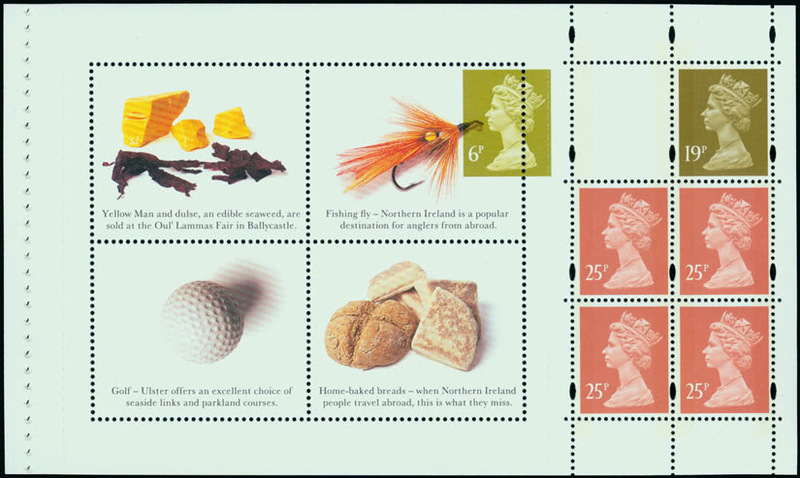 multivalue pane DP 216 from the 1994 Northern Ireland prestige booklet (lot 1365), which showed the 6p. displaced wildly to the left. This striking variety found a new home for £4,493. Prices quoted include buyer’s premium and taxes. Full listings of prices realised at these auctions may be downloaded from the Grosvenor website www.grosvenorauctions.com. Please contact Andrew Williams at Grosvenor for further information.